Brian Riseley started fencing in 1990, progressing rapidly over the following two years until 1993 when he started to coach at his club. By 1994, he was appointed London Youth Games fencing co-ordinator and continue this role for two years. In 2001, Brian became a fencing coach for SportsCoach and summer fencing coach for Guildford Council. From 2003 to 2006, he managed a weekend SportsCoach school in Redhill, working with 3 other coaches teaching a variety of different sports including fencing, tennis and American football. In 2002, Brian became fencing coach for Willington Independent Preparatory School in Wimbledon. That year, Brian was filmed coaching Professor Sir Robert Winston for the BBC TV series Human Instinct, Episode 3, The Will to Win. 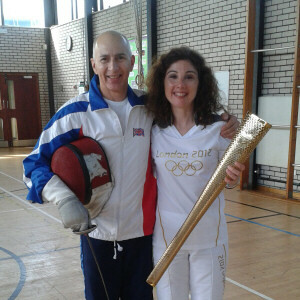 Through the 2000s Brian has been a foil coach at Wimbledon Fencing club, a role he continues today. Brian has coached son, David Riseley, to become a member of the British and Olympic Fencing Team, winning at all national age group championships.